The biggest invention after “0” and “Wheel” is the Internet. The human world is now the world of internet. No matter where you go, internet follows you. You cannot hide anymore. The Internet has given us so much that one cannot explain in one paragraph. But what everyone loves about the internet is that it has created numerous job opportunities. There was a time when entrepreneurship means a rich person who was running a business or owning industries where people come to work. The Internet has improved the meaning of entrepreneurship. It has opened the door of entrepreneurship for a common man. Now you need not be rich to become an entrepreneur, all you need is an idea that can go viral. Blogging is one of the most viral entrepreneurship ideas. Other people are reading: Joomla! vs. WordPress: Which CMS is Better for Multilingual Site? Blogging started as a personal web log, where people used to write their daily experiences or use as the journal. Soon some marketers saw marketing potential in blogging and turned the blog from a personal web log to a professional informative and educational place where people learn about new products or ideas. 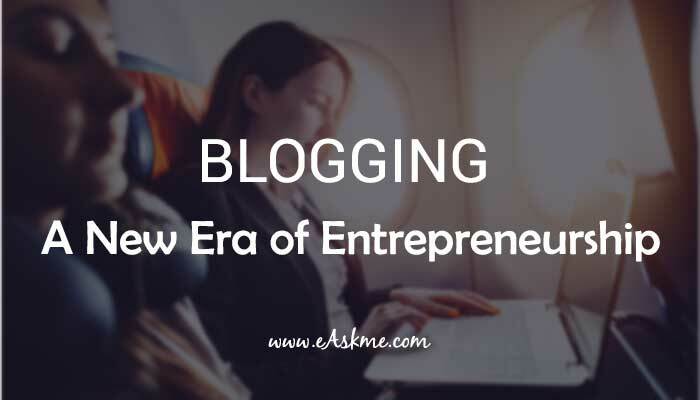 Today I am not going you to dig graves of history but I am here to share how blogging has started the new era of entrepreneurship and how you can take benefit of that. Blogging is the only business which is open for all. No matter you are a graduate or high school dropout, blogging is there to help you start your own online business. You need not look for others to help you. All you need is a blog and knowledge about the topic you want to blog about. Then do some research and buy a domain name, hosting, theme and launch your very first blog. Turn your blog into a brand and you will be an entrepreneur. Blogging has turned the shy people to into entrepreneurs. 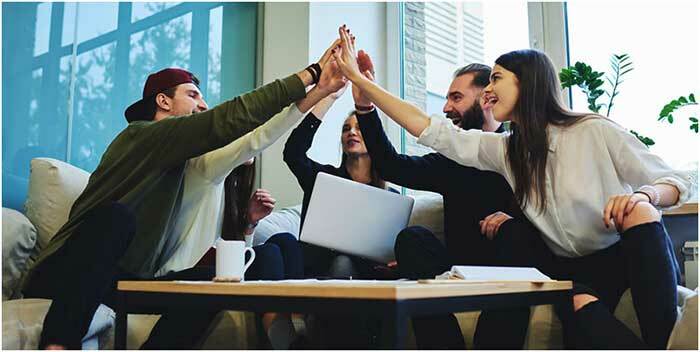 First time in the history of entrepreneurship, people who are working from home and too shy to face the world are running online blogging businesses and earning anything. There is no other business that can help you become an entrepreneur working from home without any technical knowledge. There was a time when writers are just writers. They were writing books one by one to make bread and butter. Blogging has changed the tables. Now writers can become entrepreneurs. Influencer marketing is so popular these days and to influence people, production houses contact bloggers with a good number of followers. Because people listen to those whom they follow. Production houses contact writers and pay them good money for continuously writing about their products. Most of the bloggers write product reviews or comparisons and getting paid for this. Entrepreneurship is not just about money but it is about name and fame also. Even if you make million dollars but if no one knows about you then you cannot enjoy the benefits of entrepreneurship. Blogging is a business that helps you grow your blog. The popularity of your blog makes you popular also. People not just talk about the blog they are visiting but also talk about the founder of that blog. As a blogger, you can participate in blogging award functions or entrepreneurship award functions. This will not only grow your name but also helps you to attract more readers and clients. There was a time when soul motto of an entrepreneur was to make money. To make money they were running fake promotions, selling low-quality products and even cheating people. Blogging is far away from these evils. A blog is a source of information where people come to learn and gain some knowledge. A blogger cannot cheat or fool a reader because readers not only read his blog but many others also. If you look at the successful bloggers then you will know that there are popular because they are helping people. The more you help others the more trust you gain and it turns you from a work from home blogger to a well known blogging entrepreneur. When you are working online or offline, you may not think about complete freedom. When I say complete freedom, it means freedom of time, money and location. If you are working in an office than you cannot change your seat whenever you want, you cannot leave office to work while sitting in the park, you cannot spend time with your family when you are working in the office. But blogging turns these cannot into the can. Blogging makes you work from home or anywhere you want to. It allows you to spend time with your family and friends even when you are working. It also allows you to work whenever you want and how much you want. This is what I call complete freedom. But only blogging entrepreneurs can enjoy this. What type of entrepreneur you want to be? There are various type of entrepreneurs in the World; such as greenhorn, visionaries, daredevils, exit-ers, executors, posers, bullshitters, octopi, and the valley dudes. But above all I want you to become a blogging entrepreneur. Choice is yours as life is yours.